Warning: This post might be awkward for some of you, but if you’re a female with under-canoe (a.k.a vajayjay), you and I will agree that female hygiene is everything. Friends to this blog know the topics I touch on. Pads and tampons surely ain’t one of them, but when something is good and female-friendly, sharing is caring. With that out of the way, lets talk about Veeda 100% Natural Cotton Tampons and Pads. With a lot of brands mixing synthetic products and bleached cotton (allegedly) which are lethal to our health, -Veeda’s mission is to strive for every woman to be informed about, and have access to affordable and safe feminine care. Their tampons are made with hypoallergenic, toxin-free 100% cotton. The brand promises that when you buy their tampons, you’re not only choosing hundred percent natural cotton, but you also get comfort and effectiveness. The Good: Firstly, let me say that this is a sponsored post, but every opinion is mine. I received this last year, but the post has delayed because I wanted to use it first. It is the right thing to do. 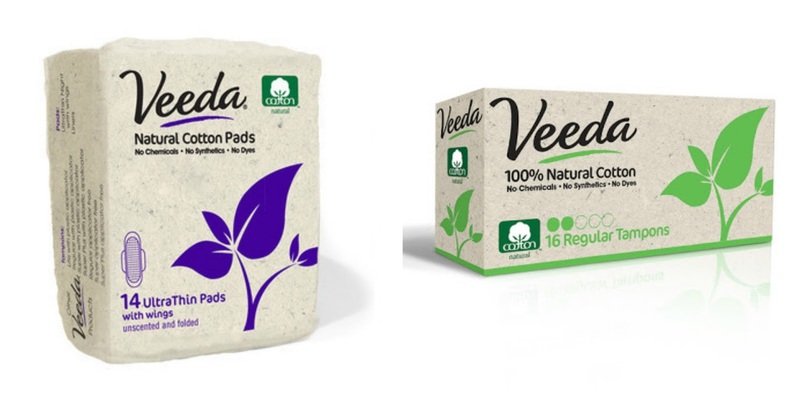 I’ve had my share of itchy and irritating pads, but it wasn’t the case with Veeda’s pads. It was smooth sailing down south, ladies. The pads sit well and they have old traditional wings which sticks very good. There was no leaks – good absorption. Yes, it was comfortable indeed, Veeda! The Erhh..: When I opened the pad the first time, I thought it was too short in length which of course isn’t great for females who experience heavy bleeding during their cycle. Sometimes you know these don’t help when you sit and in the night. Turns out Veeda does have super long pads, so yeah…problem solved! About the Tampons: I can’t tell you about the tampons, because I haven’t done em before and I don’t plan on doing em anytime soon. Ha!! Having said that though, every review I read about them is good. Veeda’s products are available at Boots, Ebay, Amazon and straight from their online store.